This week author, Kevin Doyle, is visiting with us. Kevin, can you please tell us a little about you? I live in Kansas and I’m a stay home dad to two awesome kids - a big sis and a lil’ bro. We spend our days reading, playing pretend and dancing to music. As often as I can, I leap into my imagination and look around for stories to write. I like to collect records and jam out to the warm sounds put out by those amazing little vinyl circles. I wish I could play guitar or drums but I can't so instead, I rock with Guitar Hero on the Wii. My fingers have yet to master that tricky orange button. I have always loved video games. And movies too! “Cloudy With A Chance of Meatballs”, “Up”, every “Toy Story” and “The Princess Bride” are some of my favorite films which many of you kids may have seen. All great movies. And I understand today is your daughter’s birthday! Happy birthday to her. Tell us more about your writing. I don’t think I could explain what we are doing any better than simply showing you what we’ve already composed. Please check out the below excerpt and visit our full Rockethub project page for all the details. knowonder! is publishing its first fully-illustrated book ever, and you can help make it happen in a BIG way. The book is called "CHOMP! CHOMP! CHOMP!" You want to know what's really cool about this book? This was submitted to knowonder! as one of our daily stories by an aspiring children's writer named Kevin Doyle. And now his dream of having a published book is coming true! knowonder's unique crowdsourcing for stories and content gives anyone the opportunity to become a published author! and read more about our crowd-funding campaign on rockethub.com. Thank you so much!! 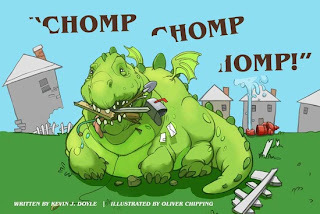 Best of luck to Chomp! Chomp! Chomp! 1 - Learn to enjoy editing your work. When you are writing, you are eating a luxurious meal with plenty of everything and it is all scrumptious. Editing is paying the bill. Tightening up my writing is a strength of mine because I love doing it and I’m constantly working at it. To me, every single word matters. Never use the same word in two back to back sentences. Well, almost never. You are a writer, so make writing well an absolutely top priority! And enjoy it, don’t begrudge the editing process. I have a Google doc to which I add editing tips I’ve found on the web - how to make dialogue better, proper comma usage, what weedy words to look for, etc. I read the entire doc before each editing session in order to commit the info to memory. The more I learn it, the better my writing is in the first place and the less I have to fix when editing. I’m not quite ready to share this magic document just yet, but maybe someday. The bottom line is; eat, drink, write and (when the bill comes) - be merry and edit! I justify this shyness by convincing myself I’m a background type of a guy, a classic creative type, not a mover or shaker. I assure myself the work will sell itself and it’s OK for me to never bring it up. I’ve also been known to ask my wife to bring up my latest writing news with people and then throw to me. How lame! Own your stuff! Be excited about what you do and let it show. Otherwise - why would anyone else be enticed by your stories? 3 - Learn to efficiently capture your ideas. This is a no-brainer. I have plenty of pieces of technology at my disposal which would help me have an organized “story starters” list. Yet my workspace and my pockets are still generally filled with post-its and scraps of paper. Or I email myself or even text myself ideas. I need to hone this skill and so do you! My goal is to center my efforts on an app called Evernote. It’s been around forever and you probably know it. If not, check it out. My hope is that since the app will be on my laptop, iPhone and iPad - I’ll always have a good place to save ideas. Now I need to remember to use it! 1 - Do a somersault every day. Do them even when you are my age, thirty-ghehsh. Somersaults help in a number of ways. They allow you to look at the world upside down, flip it over, and finally lay on your back to rest a moment and contemplate how much fun you had! 2 - Listen to music every day. All kinds of music! And try to hear the differences between songs played on real instruments with actual people singing... and songs played and sung mostly by machines. Find out what your parents like and listen to those tunes. Don’t settle for only hearing “kids’” favorites. Unless your parents like country music. You never have to feel obligated to listen to that :). When you are finished reading this, listen to the song “Ventura Highway” by America and let your mood rise like the morning sun! 3 - Practice mindfulness every day. Go outside and sit silently with your eyes closed. Or lie in the grass with your arms and legs stretched out in a big “X” and just... be. You’ll be absolutely AMAZED at how planet earth sounds when you let her speak! 1 - Kurt Vonnegut. He’s the pinnacle, the apex, the creative king, untouchable. Oh to have an imagination such as his which shakes readers up and forces deep thoughts, thorough introspection and furious reactions. Yep, he makes me want to strive to be amazing. However, I first need to go buy some more grey flannel. 2 - Dr. Seuss. Of course, I have to show love for the good doctor! 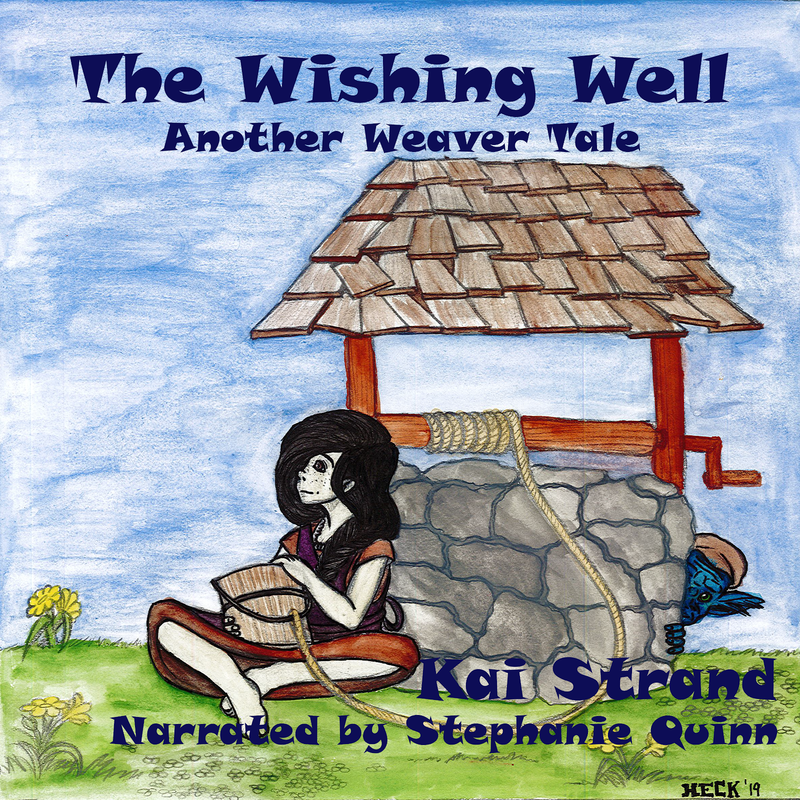 To write kid’s stories which are a sheer joy to listen to AND pure fun to read?! Simple, right? No problem! Anyone can do it! Dr. Seuss’s work is an inspiration to us all - a reminder that it’s all about enjoyment and smiles. And sneetches. Don’t forget the sneetches. 3 - Piers Anthony. It’s so hard to choose only three well-loved authors. But I simply cannot NOT mention Mr. Anthony. In junior high, I checked out “The Source of Magic” (part of his Xanth series) from my school’s library. I blazed through the book before discovering the last hundred pages or so - were missing! Tragedy! Inexplicable! I forced my parents to rush me to the bookstore to buy the book so I could finish it. Upon doing so, I discovered a whole series of Xanth books. And Mr. Anthony was STILL writing new ones! Delightful! Joyous! And a clever trick, Piers. A clever trick indeed. I suppose that’s how you hooked all your readers? A writer with your level of imagination, ability, and phenomenal wordsmanship could have grabbed me with only your stories. Instead, you sent me on a quest. And I thank you! So now - when I think of junior high - I recall playing soccer, dancing poorly and reading Piers Anthony books! Such great advice, Kevin. All of it. Thank you for visiting with us on this week’s Three Times A Charm, Kevin. Best of luck with your writing!